Nice bit of innovation out of the US for these lower-carb/vegan times! 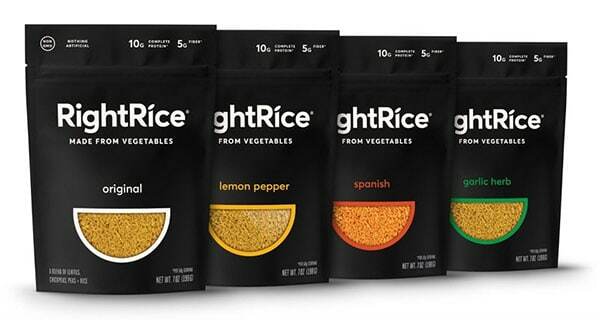 Introducing RightRice, a vegetable rice grain made up of over 90% vegetables and 10% rice, from the man who invented Popchips. RightRice founder, Keith Belling (left), has spent his food industry career creating better-for-you alternatives for everyday food products. In 2017, Belling and Patrick Turpin founded snack brand Popchips, which went on to become the fastest-growing potato chip brand by volume in 2011 and expanded into the UK market in 2012 where it became the No 1 growth crisp in the region. “One of the foods I’ve always loved is rice, but I found myself over the last few years eating a lot less of it,” Belling told FoodNavigator.com. When Belling asked friends and family their feelings about rice, the sentiment was similar: they love rice but have decreased their consumption. “I would say eight out of the ten people I was talking to either said they were eating no rice, cut way back, or the other response was they were begrudgingly giving it to their children because their kids loved rice,”​ he said. From a broader market perspective, rice is one of the most consumed foods in the world. According to USDA data​, between June 2018 and June 2019, the world’s population ate nearly 4.9 billion metric tons of rice. During that same time period, Americans ate an estimated 4.3 million metric tons of rice. It is also arguably one of the most versatile foods used as the main ingredient in any number of dishes. “It’s this chameleon of food – it absorbs every flavour or sauce, and it tastes good with everything,” said Belling. Despite being a fundamental part of most household pantries and consumers’ familiarity with how to prepare it, boxed rice has dropped off the daily dinner plate for many Americans as they seek to reduce carbs and starches in their diets. According to the International Food Information Council’s (IFIC) annual survey​ from last year, when asked what source of calories is the most likely to cause weight gain, 25% of respondents said carbs in 2018, up from 11% in 2011. Through “a lot of trial and error,”​ Belling created a blend of vegetables including lentils, chickpeas, and green peas (over 90%) combined with a little bit of rice (less than 10%) to create RightRice. As a result, RightRice contains 10g of protein (compared to 4g of protein in conventional white rice), 5g of fibre, and roughly 36% fewer net carbs than white rice per serving. “At the forefront, I wanted to hit on taste and texture,” Belling said. He had seen trends such as cauliflower ‘rice’ take off but wanted RightRice to resemble traditional rice products visually as well as in taste and texture. “I looked at cauliflower rice, but to me, it’s not really rice – it’s another way to eat cauliflower. What I really wanted to do was come up with a dry shelf stable grain that could actually deliver on nutrition and taste,”​ Belling said. According to Belling, RightRice looks and tastes just like regular rice. “A lot of people don’t even know it’s [technically] not rice, so it’s been really fun to see that reaction,” ​he said. It’s also nearly “foolproof”​ taking under 10 minutes to cook on the stove-top. Debuting in four varieties, – original (ready to be seasoned), lemon pepper, Spanish, and garlic herb – each flavour is non-GMO and vegan. The products are packaged in 7 oz. pouches (about 4 servings) for an SRP of $3.99, available at all Whole Foods stores nationwide and on Amazon. 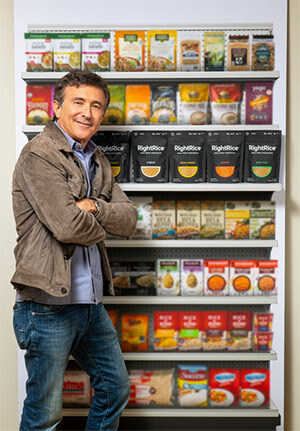 “Obviously we feel like we’re in this sweet spot for people looking for plant-based foods, but I think we have a broad market appeal,”​ added Belling who sees RightRice reaching a growing flexitarian consumer base as well as anyone who simply enjoys rice as a side or main dish. “Rice is a product that appeals to every age group, every demographic, every ethnicity; every culture has adopted rice,”​ Belling said.